계시록 변론 동 20. ..
이사야 변론 동 14. ..
60. 말라기 변론 동 ..
계시록 변론 증거 8. ..
본장은 하나님께서 아무리 예루살렘을 불쌍히 여기고 복구했다 하여도 너희가 선지자로 전하신 말씀에 순종치 않는 자가 된다면 진노를 다시 받을까 조심 하라는 뜻에서 말씀하신 것입니다. * Important verse: 12. Yea, they made their hearts as an adamant stone, lest they should hear the law, and the words which the LORD of hosts hath sent in his spirit by the former prophets: therefore came a great wrath from the LORD of hosts. 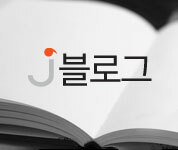 * 요절: 12절. 그 마음을 금강석 같게 하여 율법과 만군의 여호와가 신으로 이전 선지자를 빙자하여 전한 말을 듣지 아니하므로 큰 노가 나 만군의 여호와께로서 나왔도다. * The explanation) It is necessary to ponder the fact that you were blessed when you obeyed the prophecies of the past prophecies and that you were punishment when you did not obey them. * 강해) 과거의 선지의 예언한 말을 청종 할 때에 축복을 받았고 청종치 않을 때에 징계 받은 사실을 깊이 생각할 필요가 있다는 것입니다. Then came the word of the LORD of hosts unto me, saying, Speak unto all the people of the land, and to the priests, saying, When you fasted and mourned in the fifth and seventh month, even those seventy years, did you at all fast unto me, even to me? And when you did eat, and when you did drink, did not you eat for yourselves, and drink for yourselves? * 슥7:1~6. 다리오왕 사년 구월 곧 기슬래월 사일에 여호와의 말씀이 스가랴에게 임하니라. 때에 벧엘 사람이 사레셀과 레겜멜렉과 그 종자를 보내어 여호와께 은혜를 구하고 만군의 여호와의 전에 있는 제사장들과 선지자들에게 물어 가로되 우리가 여러 해 동안에 행한 대로 오월 간에 울며 재계 하리이까 하매 만군의 여호와의 말씀이 내게 임하여 이르시되 온 땅의 백성과 제사장들에게 이르라 너희가 칠십년 동안 오월과 칠월에 금식하고 애통하였거니와 그 금식이 나를 위하여, 나를 위하여 한 것이냐. 너희의 먹으며 마심이 전혀 자기를 위하여 먹으며 자기를 위하여 마심이 아니냐. * The explanation) No matter how much they weep, fasting, and crying, they will have no effect if they are to fill their desires without obeying God's will. Some people obeyed the Word and God worked. When some people got up and worked, there was a terrible test, but when it happened, there was unity and faith. No matter how fast and mourning you do, if you do not obey God's Word, you have done it for yourself. There is no work if it is invalid and there is no obedience to the Word. The restoration of Jerusalem was captive in Babylon, and there was no work when there was no obedience to prayer and fasting, and when it came back and united and obeyed, the restoration of the temple occurred. * 강해) 그들이 아무리 울며 금식을 하며 부르짖음이 있다 하여도 하나님의 뜻에 순종하는 것이 없이 자기 욕망을 채우려는 것이라면 아무런 효과를 이루지 못할 것입니다. 몇 사람이 말씀에 순종하니 하나님께서 역사했습니다. 몇 사람이 일어나 일하려 할 때 무서운 시험이 왔으나 단결해서 믿고 일어날 때 역사가 일어났습니다. 아무리 금식하고 애통했다 하더라도 하나님 말씀에 순종 안하면 자기 위해 한 것입니다. 무효이고 말씀에 순종이 없다면 아무런 역사가 없습니다. 예루살렘 복구도 바벨론에서 포로 되어 아무리 기도하고 금식해도 순종치 않을 때 역사가 없었고 돌아와서 단결해서 순종할 때 성전 복구 역사가 일어났습니다. Thus spoke the LORD of hosts, saying, Execute true judgment, and shew mercy and compassions every man to his brother: And oppress not the widow, nor the fatherless, the stranger, nor the poor; and let none of you imagine evil against his brother in your heart. But they refused to hearken, and pulled away the shoulder, and stopped their ears, that they should not hear. Yea, they made their hearts as an adamant stone, lest they should hear the law, and the words which the LORD of hosts hath sent in his spirit by the former prophets: therefore came a great wrath from the LORD of hosts. * 슥7:7~12. 여호와가 이전 선지자로 외친 말을 너희가 청종할 것이 아니냐. 그 때에는 예루살렘과 사면 읍에 백성이 거하여 형통하였고 남방과 평원에도 사람이 거하였었느니라. 여호와의 말씀이 스가랴에게 임하여 이르시되 만군의 여호와가 이미 말하여 이르기를 너희는 진실한 재판을 행하며 피차에 인애와 긍휼을 베풀며 과부와 고아와 나그네와 궁핍한 자를 압제하지 말며 남을 해하려하여 심중에 도모하지 말라 하였으나 그들이 청종하기를 싫어하여 등으로 향하며 듣지 아니하려고 귀를 막으며 그 마음을 금강석 같게 하여 율법과 만군의 여호와가 신으로 이전 선지자를 빙자하여 전한 말을 듣지 아니하므로 큰 노가 나 만군의 여호와께로서 나왔도다. * The explanation) Therefore, it is necessary to ponder the fact that when we obeyed the prophecies of the prophets of the past, we were blessed and we were disciplined when we did not obey them. Even though we kept the feast and fasted in Jerusalem, it was ruined because we did not obey the word. When some obedient people rose, the Temple in Jerusalem was restored. We keep the feast, and fasting is like foreign religion unless we are obedient to the Word. We need to be an organization that receives work in absolute obedience to the Word. Listening to the words of the prophecy, the kingdom of David was well done, and if he did not hear it, what has been ruined is a lesson for us now. If your ancestors did not listen to the prophecy of the prophets in the past, would you not listen. What God has established for the church is to help each other and to live in the same place, what good is it to hate each other and hate each other? God is the god of truth, but if there is nothing to love and obedience, there is no need to be an organization with the truth of the plummet. * 강해) 그러므로 과거의 선지의 예언한 말을 청종 할 때에 축복을 받았고 청종치 않을 때에 징계 받은 사실을 깊이 생각할 필요가 있다는 것입니다. 아무리 예루살렘에서 절기 지키고 금식을 했지만은 말씀을 순종치 않아서 망한 것이고 말씀 순종하는 몇 사람이 일어날 때 예루살렘 성전 복구되었으니 우리가 절기 지키는 것도 금식하는 것도 말씀 순종하기 위한 것이 아니면 이방 종교와 같습니다. 말씀에 절대 순종해서 역사를 받는 단체를 이루어야 합니다. 선지의 말을 잘 들으면 다윗 왕국이 잘 되었고 안 들으면 망해버린 것은 지금 우리에 대한 교훈입니다. 과거 선조들이 선지 예언 안 듣다가 망했는데 너희도 안 듣겠냐? 하나님께서 교회 세운 것은 서로 도우고 남 살리라고 세운 것인데 서로 등지고 서로 미워하니 무슨 소용이 있습니까? 하나님은 진리의 신이신데 사랑하는 것이 없고 순종하는 것이 없다면 필요가 없고 다림줄의 진리로 한 단체가 되어야 합니다. * Zech.7:13~14. Therefore it is come to pass, that as he cried, and they would not hear; so they cried, and I would not hear, saith the LORD of hosts: But I scattered them with a whirlwind among all the nations whom they knew not. Thus the land was desolate after them, that no man passed through nor returned: for they laid the pleasant land desolate. * 슥7:13~14. 만군의 여호와가 말하였었노라 내가 불러도 그들이 듣지 아니하였은즉 그들이 불러도 내가 듣지 아니하고 회리바람으로 그들을 그 알지 못하던 모든 열국에 헤치리라 한 후로 이 땅이 황무하여 왕래하는 사람이 없었나니 이는 그들이 아름다운 땅으로 황무하게 하였음이니라 하시니라. * The explanation) God will know that no matter what he calls, when you do not listen, you should know that even your beloved people are plagued with disaster. Prayer is obedience to the word of God, so that no matter how much you call Jehovah without obeying, there is no fruit. It is to be ruined by the tribulation of judgment. It is the last time you call it the truth of the plummet. It is time to think about obedience to the Word. If there is no obedience before the truth, you not hear my words, and I do not listen to you either. * 강해) 하나님은 아무리 불러도 듣지 않을 때에 사랑하는 백성이라도 황무하게 재앙을 내린다는 것을 알아야 할 것입니다. 기도라는 것은 하나님 말씀대로 순종하는 것이니 순종치 않고 아무리 여호와를 불러도 열매가 없다는 것입니다. 심판의 환란으로 황무하게 한다는 것입니다. 여러분 지금 다림줄의 진리로 마지막 부르는 시기입니다. 말씀 순종에 대하여 고민 해보아야 할 때입니다. 진리 앞에 순종 없으면 너도 내 말 안을 들으니 나도 네 말을 안 듣는다 하십니다.